Gloves can be very effective at stopping contaminants from coming into contact with the skin, however, they do not prevent occupational skin disorders (OSDs) from developing. Swarfega explains. For motor factors, when customers are purchasing disposable gloves, this is an opportunity to offer additional products such as hand protection creams, gel moisturisers and hand cleansers appropriate to the dirt being cleaned off. Helping factors to make the case to their customers for these products, Chris Brooks, a Technical Specialist at Swarfega, explains how disposable gloves can cause problems for mechanics. Dermatitis is thought to affect 1 in 10 workers according to the European Agency for Safety and Health at Work, which can make routine manual tasks a challenge. 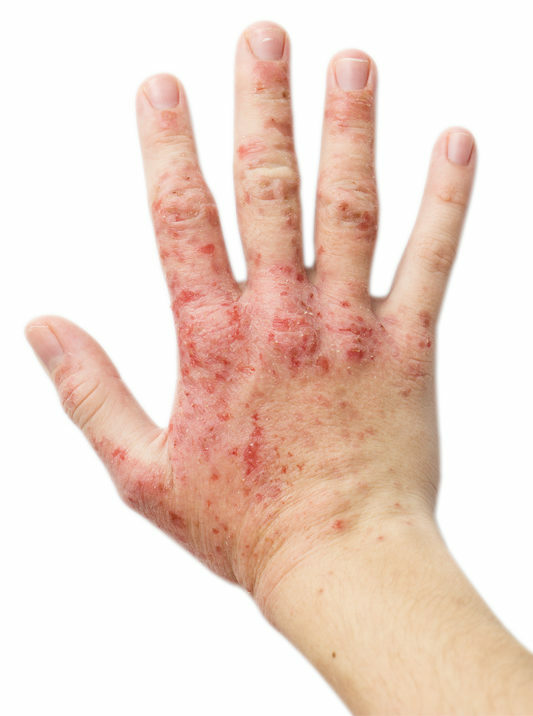 Red, irritated and dry hands are often considered just ‘part of the job,’ but OSDs can cause severe, visible consequences for business and individuals. The estimated costs of OSDs in the EU is in excess of £500m per year, with around three million lost working days each year. Gloves are a great barrier and are part of the skin care solution. But, when worn for long periods of time, this barrier can also be the cause of some serious skin complaints. Normally, moisture passes through the skin and into the environment, helping to regulate the temperature of the body. When wearing disposable gloves, this moisture is trapped against the skin causing it to soften and wrinkle. This can weaken the skin and result in disorders such as those noted above. Gloves can also trap bacteria against the skin in a warm, moist environment that is ideal for their growth. Cuts and scratches on the skin under the gloves can quickly become infected and can impact on the person’s ability to work safely. How can you avoid the issues? To find out more about Swarfega’s skincare products, click here.